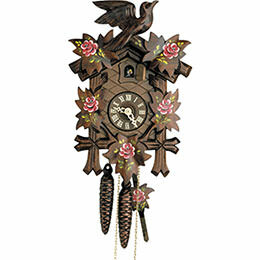 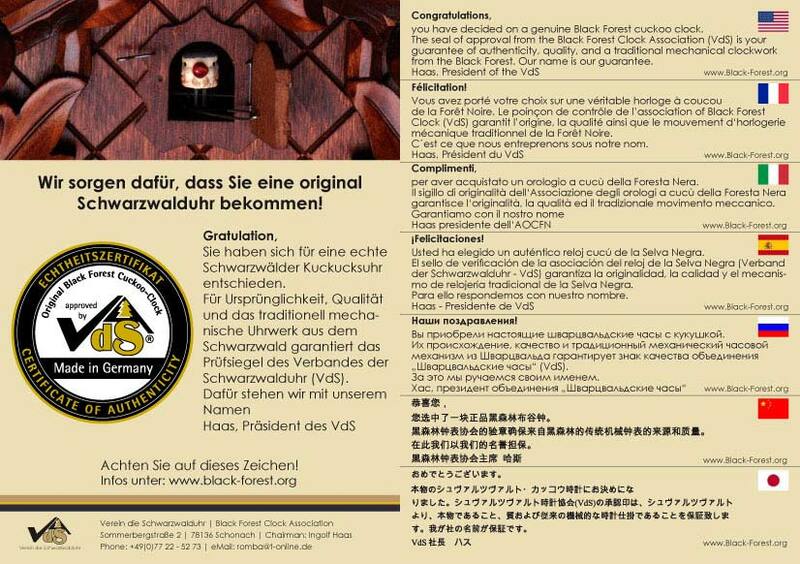 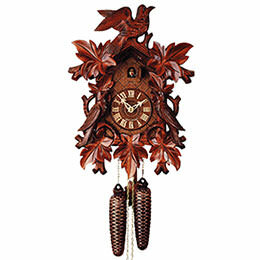 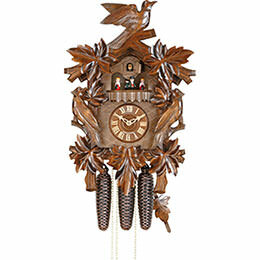 Cuckoo clocks with carvings are the classics of the Black Forest cuckoo clocks. 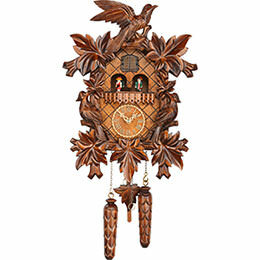 They show off the entire mastery and the high level of artistic skills of the carvers from the Black Forest. 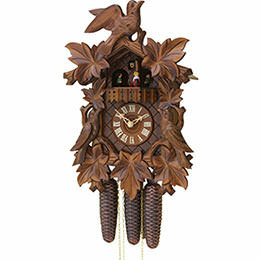 The elaborate carvings are still made by hand in the Black Forest today using the old tradition. 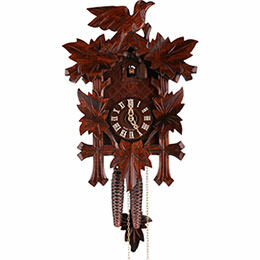 Linden wood is primarily used here, which is usually stained in a dark brown shade in the end. 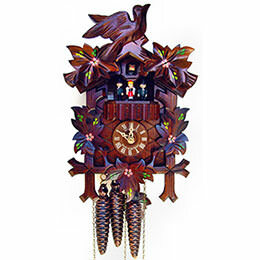 The ornamental leaves entwined around the front of the clock are characteristic of the traditionally carved cuckoo clocks. 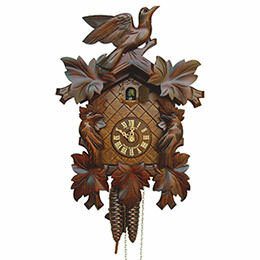 The frame of leaves is often crowned with a carved bird, placed on the peak of the roof. 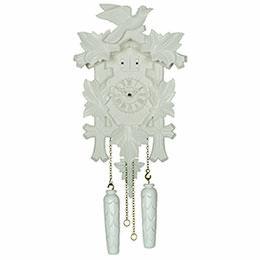 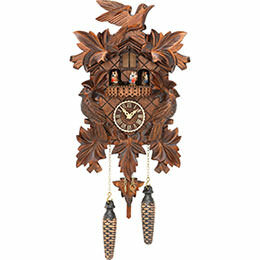 In addition to the classic bird motif, there are also cuckoo clocks that are decorated with carved owls. 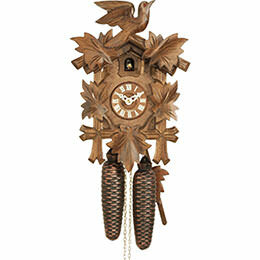 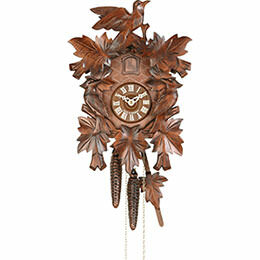 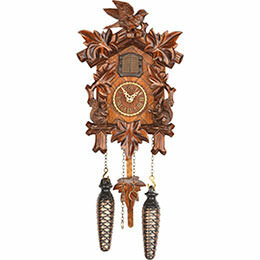 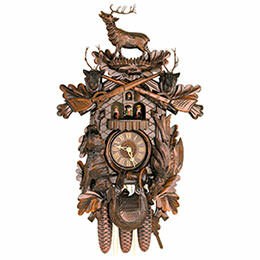 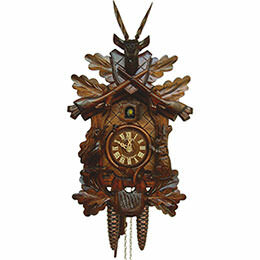 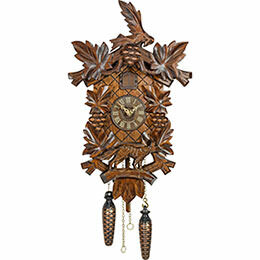 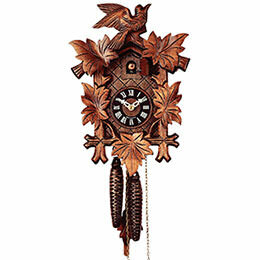 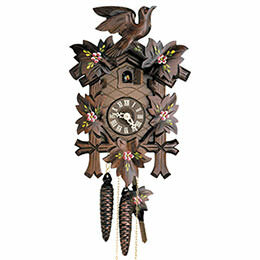 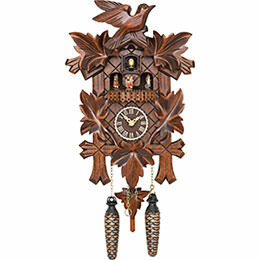 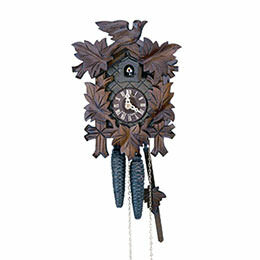 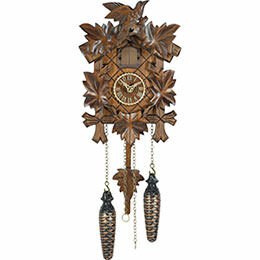 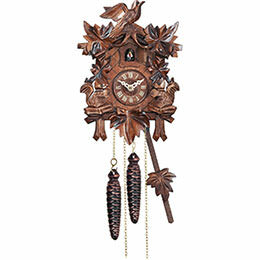 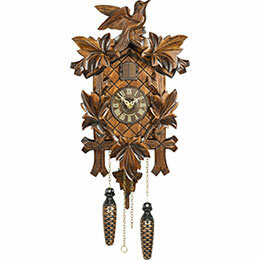 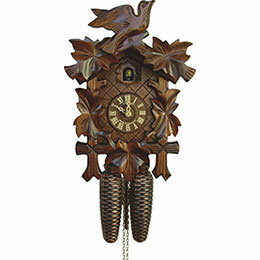 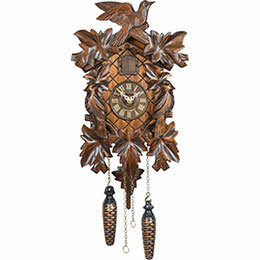 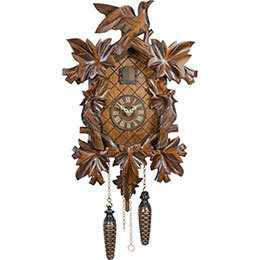 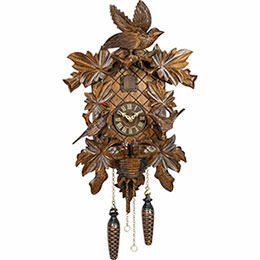 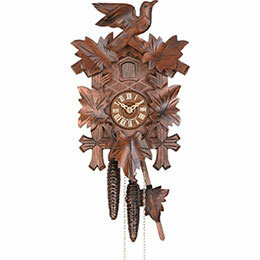 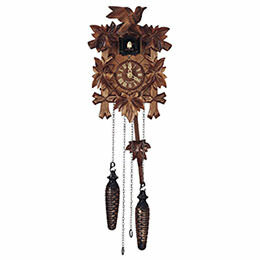 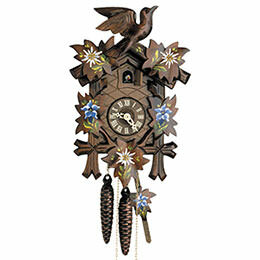 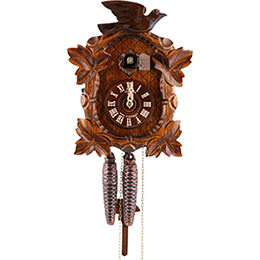 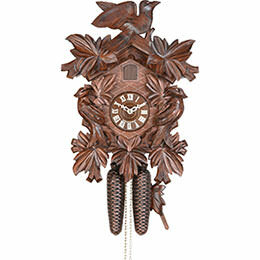 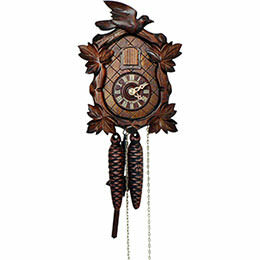 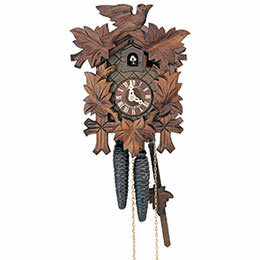 Another traditional version of the carved cuckoo clock is the hunter cuckoo clock. 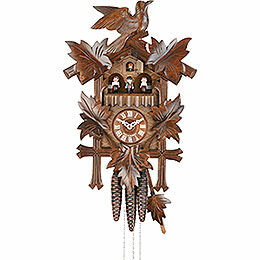 In these versions, instead of a bird we find hunting motifs. 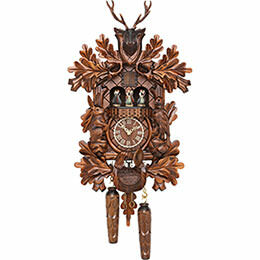 A stag or stag’s head with antlers is usually regally perched on the top of these impressive clocks. 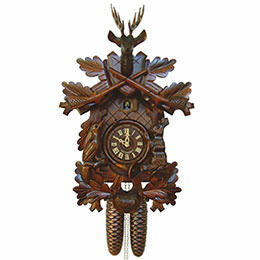 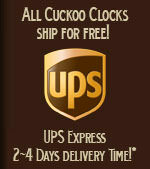 Cuckoo clocks with carvings are available in very different sizes. 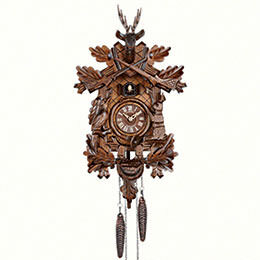 The elaborate, large-scale clocks, which are particularly rich in delicate carvings, are genuine treasures. 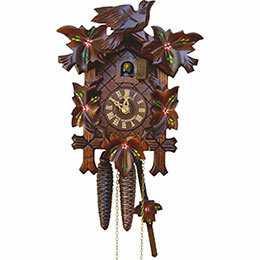 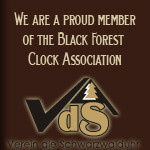 In addition, our range of clocks, with the smaller versions of carved Black Forest clocks, offers treasured hand-made items at an affordable price and a piece of the Black Forest, which is always a lovely gift.